Cameron always knew Sophie was "The One". And with a little perseverance, they became the couple you see in the pictures below - so gorgeous and obviously in love! Sophie and Cameron live in Grahamstown, and chose to have their wedding there even though their families are from Natal and Cape Town respectively. 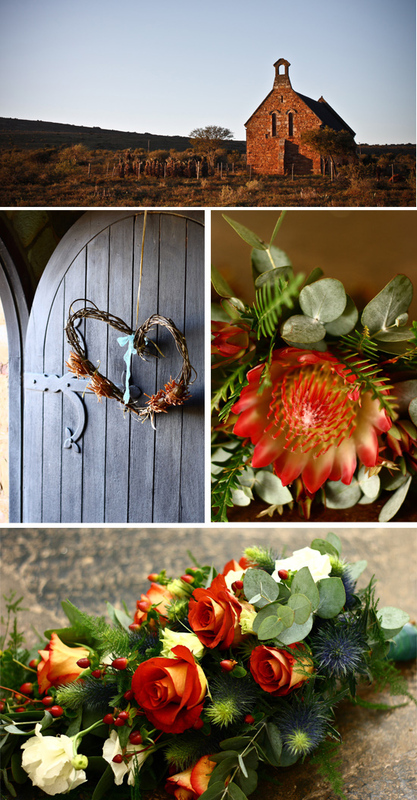 They decided to pick beautiful colours and textures from the Eastern Cape as their theme - and with the natural beauty of Grahamstown as its backdrop, on a crisp Winter's day, this wedding couldn't have been more different and gorgeous. Cam and I became friends at varsity through rock climbing and mutual friends. A few months after we had met, I had a planned trip to Cape Town but my accommodation for the weekend had fallen through. Cam is from Cape Town and offered that I come and stay with his family. We had a fantastic weekend, rock climbing, swimming, eating ice cream, watching the full moon rise from the top of Lion’s Head. That’s when Cam fell in love but I was in denial for many years and so he really had to persevere but he says he knew the whole time I was the one. Two and half years later we started going out and pretty soon we were engaged. On the beach in Plett, sitting watching the sea, with a little poem. Don’t do things because everybody else does, make your own traditions and leave out things that do not suit who you are and the style of the wedding. We are not big dancers so decided to do our reception more like a big dinner party. There also wasn’t really space for a dance floor. This meant we didn’t have a first dance but seeing we didn’t really have a song and Cameron is not too big on performing in front of people, it worked out well. We also decided not to spend money on wedding favours that people wouldn’t really use or take home so we bought blankets for the guests to use (the wedding was in winter) and asked that they leave them behind so that we could donate them to a crèche. Enjoy being engaged and don’t wish the days away until the wedding. Engagement is a really fun, special, exciting time and it only happens once so enjoy it rather than wishing it away. Also make lists, when you think of things, write them down, it helps reduce the stress of trying to remember too many things at once. Ask people for help - friends and family love getting involved. Try and take in every moment of your wedding day, it flies by so fast that you need to make an effort to make memories of that day. Don’t worry if things don’t turn out quite as planned, no one knew it was meant to be like that except you. I looked through magazines and at natural colours in the Eastern Cape. Proteas and penny gum were the colours we worked around. Cameron was very involved in the wedding with decision making, finances, and amazing organisational skills. I also love talking through things and he was always ready to listen when I bounced ideas off him. Our parents live quite far away from Grahamstown but they were keen to get involved so we made sure to include them when they arrived. My mom organised the tea which was amazing and my brother-in-law-to-be painted the tin cups we used for gluwein. Cam’s parents helped to wire jam jars and candles into the trees and transport things back and forth. Not much. I think we would have stayed longer at the reception and spent more time with our friends and family. Invitations, décor, sewed beading detail onto the bridesmaids dresses. The weather! In the middle of winter we had a beautiful, warm, windless afternoon which was perfect for tea outdoors and lovely photos. My bridesmaid and her husband (cam’s best man) wrote and sang an amazing song for us at the reception – the only time I cried the whole day. We didn’t have a song or a first dance but we had a jazz pianist playing the whole evening. We stayed local and went to Hogsback (in the snow) and a little cabin in a nature reserve in Cape St Francis. 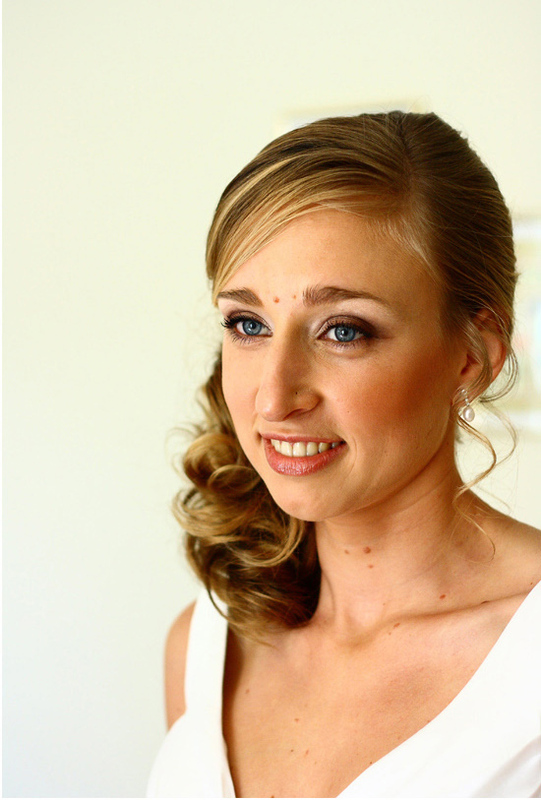 Wedding Dress: My dress was designed and made using Blushing Brides based in Port Elizabeth – really reasonable and great service. Bridesmaids dresses: From Poetry but I added a bit of beading detail myself. 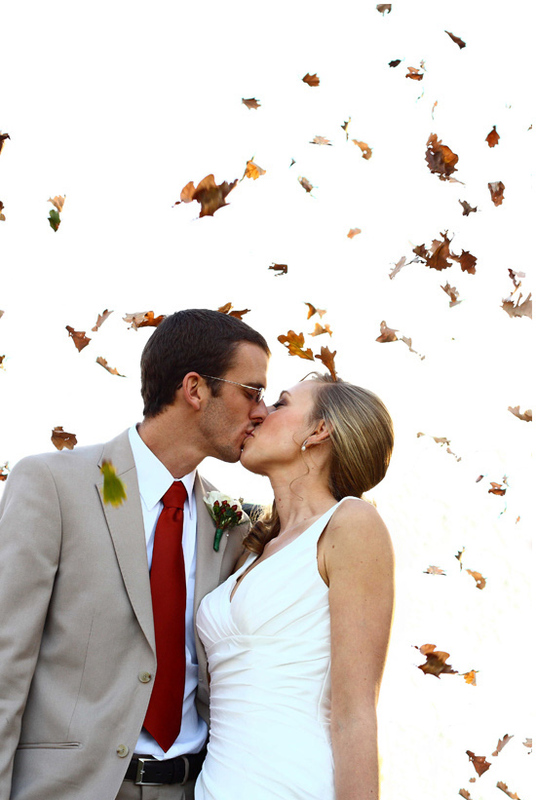 We would love to see your wedding! If you would like to feature it on our blog, email us at rubyandtheswallow@gmail.com or send us a Facebook message here. Picture Credits: All photography by Bennets Photography.